In the recent past, Sayulita, formerly sleepy fishing village, has now become one of the most sought-after destinations among tourists for day trips. The laid-back vibe of this town is definitely infectious which is one of the reasons why tourists from across the world flock here in large numbers. If you are the type of traveler who enjoys exploring the region where you are vacationing, hop on a private yacht rental in Puerto Vallarta and set sail on the crystal blue waters to reach Sayulita – a must visit tourist destination. Once you arrive in Sayulita, there are lots of ways to spend the day in leisure. Snorkeling – In Sayulita, you can put on a mask, snorkel and swim out into the crystal clear waters and feast your eyes on the brightly-colored fish. Glide past the offshore rocks, and the brilliant flash of tropical fish will capture your eye. When the sea is calm, sun shining, water clear, fish and undersea flora are everywhere. Do witness the explosions of lucid color lighting up the seascape. You will surely enjoy this amazing hidden world. Surfing – Surfing in Sayulita offers a fantastic addition to any charter vacation. The waves are perfect for all skill levels including beginners (first time), intermediate, and advanced surfers. There are endless surf spots that cater to surfers looking to catch their first waves all the way up to advanced surfers looking to score the wave of their life! A great way to remember the excitement is to have a professional surf photographer capture those moments for you. Fishing – The beach at Sayulita is filled with wooden boats and the air has the smell of fish. So what are you waiting for? Cast away, and catch something! Hop on a boat rental in Puerto Vallarta and drop a line or throw out a lure. The fishing around Sayulita can be spectacular. You might end up catching a hundred-pound tuna, a shiny dorado, half a dozen huachinango. Get back to the beach early and fish with the surfers and the surf fishermen. Be less concerned with the catch and completely enraptured in the moment. Relaxing – All those who wish to escape the hustle and bustle of the tinsel town, Sayulita is the place to be. From hammocks to lounge chairs, Sayulita is set up to accommodate those who just want to relax on the beach. Look for a spot that serves food and drinks right under the shade of beach umbrellas on the sand. If you need to cool off at some point, you can head straight into the surf for a refreshing dip. Walking – It may seem to be an obvious and mundane activity but the beach at Sayulita can be best enjoyed by taking a leisurely stroll. As you walk on the beach, take a look at the waves, the surfers, the kids playing, the locals and the fishermen. A walk along the gray sand is one of the best exercises you can partake in. Try to do it at sunrise when the beach is pretty much empty of visitors. Shopping – The charming and the cobblestone streets of Sayulita are all dotted with adorable boutiques and galleries where you can shop for everything from handmade jewelry and fun graphic t-shirts to sculptures and home decor. You can also come across many artisans lining the streets in booths or strolling along the beach selling their colorful goods. But prior to it, make sure you are highly skilled in bargaining. If you love one of a kind finds, Sayulita is the perfect place to discover them. Fooding – Whether you want to eat fresh seafood like grilled fish, pizza, gourmet salads, fish tacos – there are available plenty of available options here. To sweeten your mouth, you can try some of the delicious piping hot churros that are made and sold right in the street! 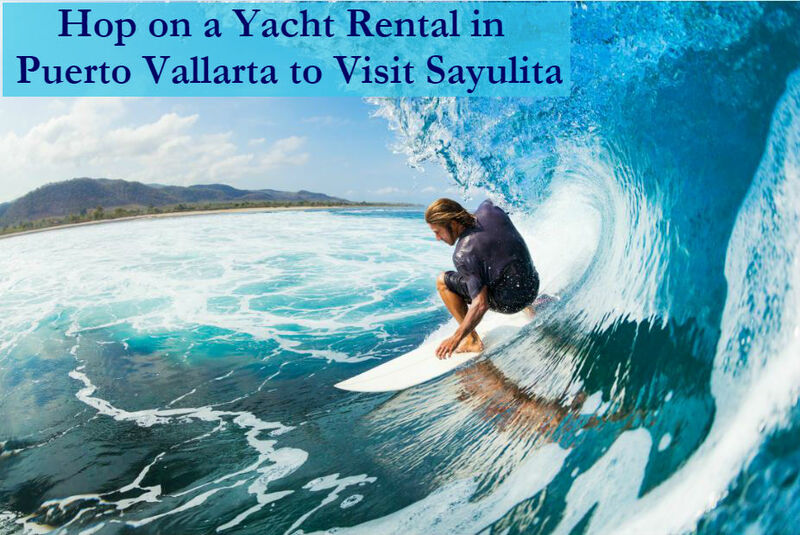 Embark on a day trip to Sayulita on board your own private yacht rental in Puerto Vallarta and experience a unique vacation to be treasured for years to come! There Are So Many More Things To Do In Puerto Vallarta….